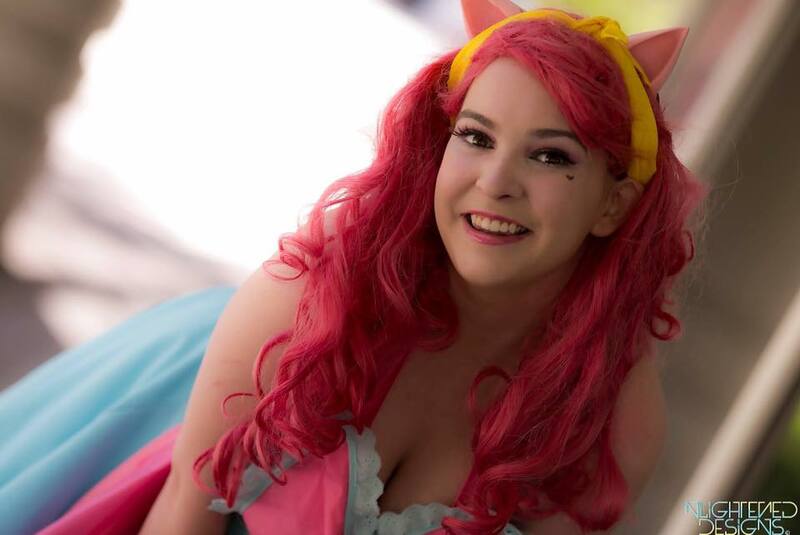 Pinkie Pie has always been one of my favorite ponies since I started watching the show in 2011. 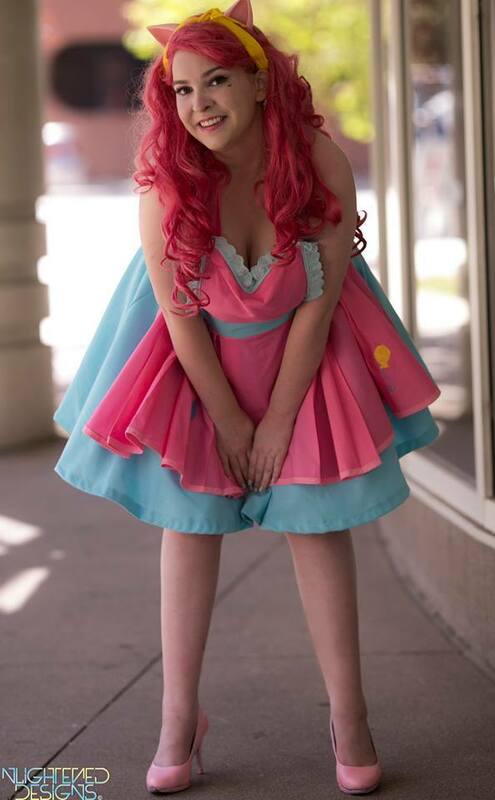 I have gone through several Pinkie Pie cosplays and designs, but this is finally the one that stuck. 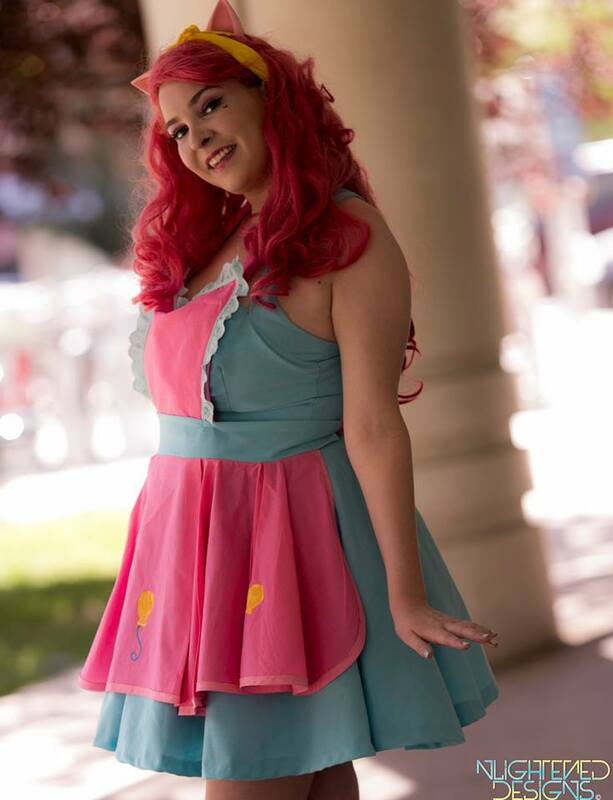 The entire costume was handmade by me, with the dress made of blue cotton and a simplicity pattern. The apron is pink broadcloth and made with a pattern I drafted myself and then painted on with fabric paints. The shoes are black heels that I hand painted. 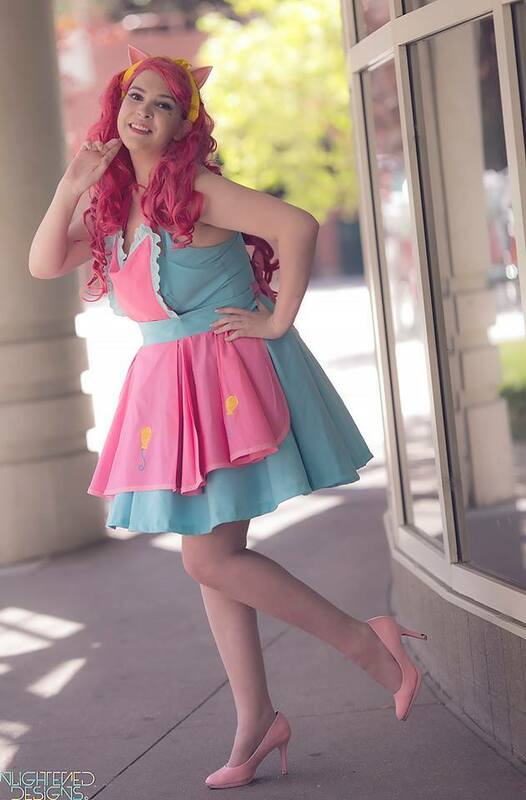 Pinkie’s wig is a blonde lacefront that had been dyed by The Rabbit Tales and then styled by me.